Ever since its inception in 1988, the Reach for a Dream Foundation has been doing amazing work by providing hope to children fighting life-threatening illnesses, by fulfilling their dreams. Children have the innate ability to live in colour so to speak and to live each day to the very fullest. Encouraging them to dream their biggest dreams inspires a sense of strength, hope and courage. 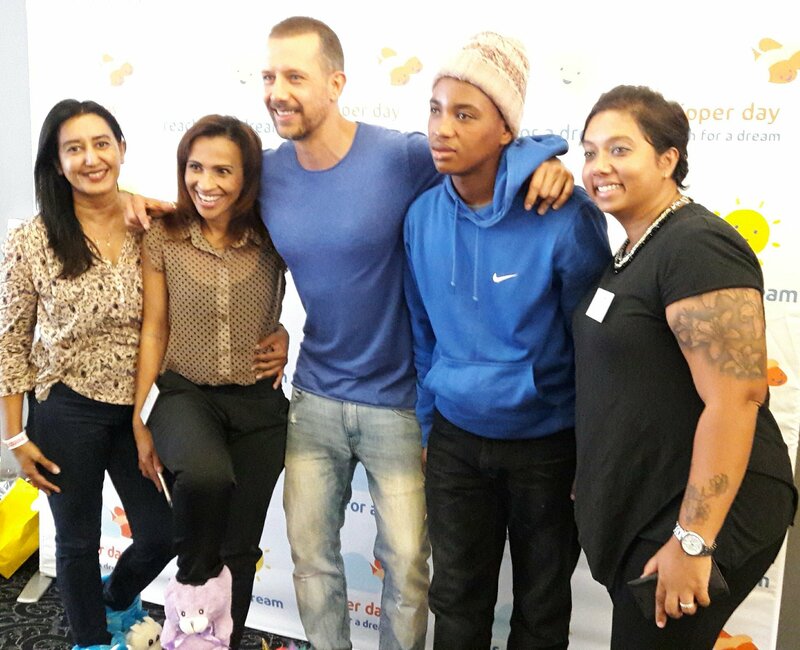 Reach for a Dream touches the lives of over 45 000 children and their families a year. The 2018 campaign is well underway and the Reach for a Dream team is all set to impact lives like they have been doing for the past 3 decades, but they can’t do it without your generosity and support. 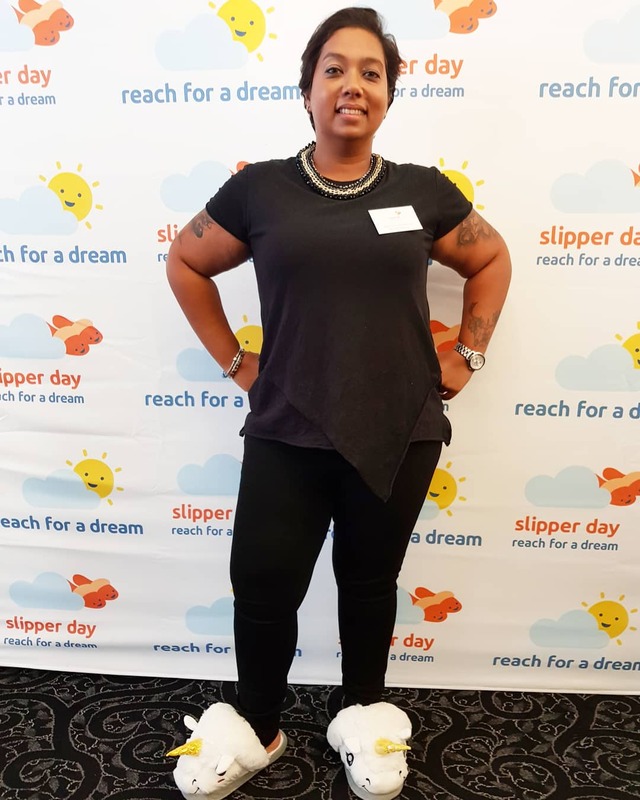 2018 will see this NPO celebrate 30 years of inspiring hope by making dreams come true, so you can expect this year’s Slipper Day campaign to be one for the books. What can you do with R10? Now take a moment to consider what you can do with R10. Well, pretty much nothing, but your R10 can make a difference to the the dreams of these life-threatened children come true. So head over to your nearest Pick n Pay or Wimpy and purchase your wristband for just R10. Support #SlipperDay2018 in the coolest and most fun way ever by wearing your slippers all day on the 11th of May 2018 and don’t forget to pop into a Wimpy to get your free coffee. Namritha, Melanie, Johathan and I grabbed the opportunity to take a photo with 18-year-old Kamo. This young man beat the odds after spending more than 2.5 years in a coma due to a brain tumour. Kamo now wishes to inspire hope by sharing his story. I urge you to get involved and support this amazing initiative and the outstanding work that Reach for a Dream does. They are indeed “the closest thing to angels”.